Toyota’s compact pickups are easy to take for granted. Owners seem to think they can carry absurd loads and continue running without regular maintenance so they load them up like semis and drive them until the crankcase oil turns to taffy. Toyota dealers seem to look upon them as an annuity, regularly selling well with minimal promotion and zero effort. And since they haven’t changed much since the introduction of the latest generation and its Tacoma name in 1995, there’s rarely much news for the press to get excited about. 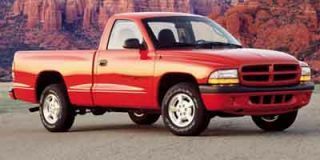 For 2001 however, there’s something new in Tacomaville, with updating throughout the line, and the addition of four-door Double Cab and S-Runner street performance models. 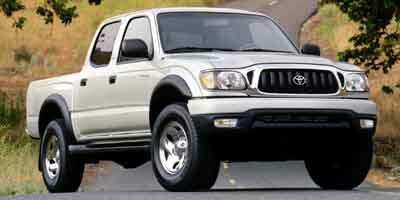 Next year we’ll be back ignoring the Tacoma again, no doubt. Aggression seems to sell in the compact truck market, so Toyota has given all Tacomas a new higher nose for 2001 that, they say, "capitalizes on the Tacoma 4x4’s strong image." The new grille’s slightly trapezoidal shape and thick vertical bars may well evoke that heritage, but it also looks sort of like the grille on the ‘53 Buick Special. The Buick, however, didn’t have new multi-reflector headlamps and could only dare dream of "jeweled" taillamps like the Tacoma. Also updated is the Tacoma’s interior, which gets rotary ventilation controls in place of the archaic sliders that had been used, new door trim and upholstery and a new four-spoke steering wheel. And mainstream SR5 and upmarket Limited models now get white-faced gauges with orange illumination. Nothing earth-shattering – nothing like the ‘53 Buick – but a definite improvement over 2000. Regular cab Tacomas continue to ride on a 103.3-inch wheelbase while the extended XtraCab models put 121.9 inches between their axles. Both have a 74.5-inch long bed that’s 57.9 inches wide when it’s fleet-sided and 49.6 inches across when done up as the new-in-2000 StepSide. Whether 4x2 or 4x4, the front suspension is double wishbones with coil springs, the rear suspension a solid axle on leaf springs and the steering rack-and-pinion. ABS remains optional across the line on the front disc and rear drum brakes. Mechanically, the Tacoma is strictly carryover with base two-wheel drive models getting power from a 142-horsepower, 2.4-liter, DOHC, 16-valve four. The 4x4s and the looks-like-a-4x4 PreRunner get a 150-horsepower, 2.7-liter version of that engine with the excellent 190-horsepower V-6 topping the range. 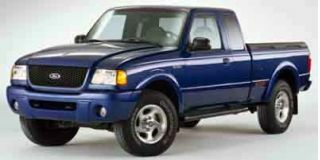 All engines are available with either five-speed manual or four-speed automatic transmissions and the 4x4s get a manually-engaged dual-range transfer case. The Tacoma also remains a North America exclusive (Toyota sells the somewhat different Hilux pickup in the rest of the world), and all versions of it are assembled only at the NUMMI facility in Fremont, Calif.
Is life better with four doors? Suddenly it seems the whole world is selling trucks with cabs that have four forward-hinging doors. 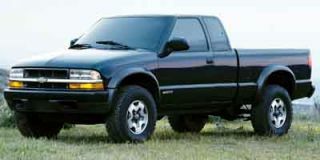 Toyota’s Double Cab joins Nissan’s Frontier and Dodge’s Dakota four-doors at just about the same time as GM introduces four-door versions of GMC Sonoma and Chevy S-10. Suddenly a market segment that didn’t exist at all in 1999 looks very crowded in 2001. Sitting on the same 121.9-inch wheelbase as the Tacoma XtraCab, the Double Cab’s extra cab length comes at the expense of bed length which shrinks 13.0 inches to 61.5 inches. However, that bed is substantially larger than the Nissan Crew Cab, which has a 116.1-inch wheelbase and a 56.3-inch bed length. And while the Toyota’s bed is more than five inches longer than the Nissan’s, the truck is only 2.3 inches longer overall. The Double Cab cab itself is hardly surprising; it’s an XtraCab with more rear room, a real bench seat instead of jump seats, and easier access to that bench. Again the comparison to the Nissan is natural and first impression is that the Toyota’s rear seat has a more comfortable back rest angle and more useable room. Nissan claims 30.7 inches of rear legroom for its Frontier Crew Cab while Toyota asserts there’s a full 33.8 inches of leg space in their Tacoma Double Cab. In rear quarters as intimate as these two, that 3.1-inch advantage feels huge. In head, shoulder and hip room, the two trucks are within fractions of an inch of one another. For the larger Dakota Quad Cab, Dodge claims 36.0-inches of rear legroom and substantially greater hip and shoulder room (though slightly less rear headroom). Adults wouldn’t be very comfortable in any of these trucks’ rear quarters for a long trip, but if the kids complain about being sentenced to the Tacoma’s back bench, tell them to go find another family. 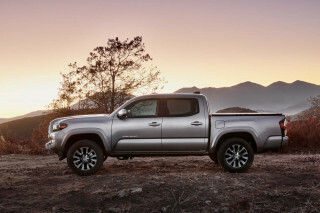 Toyota will sell the Double Cab as a two-wheel drive with either the 2.7-liter four or 3.4-liter V-6 in its nose, or as a four-wheel drive powered only by the V-6 in either SR5 or Limited trim levels. 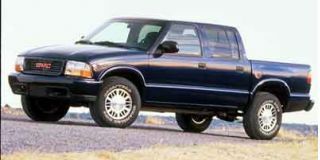 The DoubleCab chassis is tuned for the heft of the four-door body, but is otherwise unchanged from regular Tacoma-spec. Standard is P225/75R15 tires on 15x7-inch steel wheels, while P265/70R16s on 16x7-inch alloys are optional or as part of the available PreRunner 4x2 and TRD 4x4 packages. According to Toyota’s preliminary specifications the Double Cab should weigh in between 120 and 150 pounds heavier than the XtraCab, which should have some minimal impact on performance and fuel economy ratings. If anything, the Double Cab feels even more substantial than its brother XtraCab. On the pre-production vehicles made available for driving, the Double Cab doors closed with typical Toyota precision and were rattle-free. The seats in all Tacomas have always felt is if they sit closer to the floor than in other trucks, and that feeling continues in the Dual Cab. But it’s a sensation to which one becomes acclimated rapidly. Not surprisingly, considering that it rides on the same wheelbase, the Double Cab’s ride and handling are indistinguishable from the XtraCab and in the thin air of Montana’s mountains no difference in performance between the two was immediately apparent. 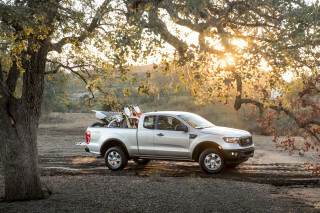 Is the Double Cab innovative? No, not really. But as is expected from Toyota, it’s a thoroughly developed product that meets or exceeds reasonable expectations. While the Double Cab is obviously the most substantial addition to the Tacoma range, the new S-Runner also pushes the line into a new arena: street performance. 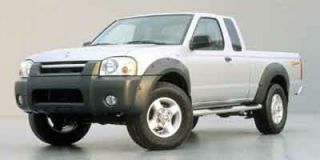 Available only as a 4x2 XtraCab (either regular or StepSide bed) powered by the 190-horsepower, 3.4-liter, DOHC, 24-valve V-6 backed by a five-speed manual transmission, the S-Runner hunkers down on a one-inch lower suspension, is monochromatically finished in either Black Sand Pearl or Radiant Red paint and gets a tuned exhaust with a chrome tip.